Rachel’s Valentina in Breeders’ Cup After Spinaway Win: In horse racing, there is an old saying: “Breed the best to the best, and hope for the best.” For Stonestreet Farms, that old adage is working wonderfully in 2015. Their prize mare, Rachel Alexandra, had only two foals before she was retired from breeding. However, both of those foals are sired by Preakness winners, Curlin and Bernardini, and are offspring of a Preakness-winning mare. The Curlin colt was named Jess’s Dream and recently broke his maiden in Silky Sullivan fashion for trainer Kiaran McLaughlin. 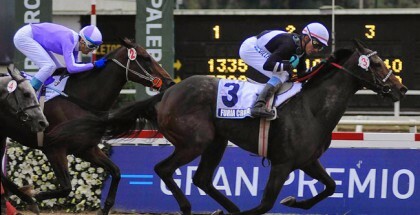 However, the filly, sired by Bernardini, broke her maiden in a more grinding fashion. Named Rachel’s Valentina, she was born two days short of Valentine’s Day with a tiny heart on her forehead. As the second foal out of 2009 Horse of the Year Rachel Alexandra, Rachel’s Valentina commemorated the sixth anniversary of her mother’s historic victory in the 2009 Woodward with a Grade 1 win of her own, taking the $350,000 Spinaway by a length in her stakes debut at Saratoga Race Course on Saturday, Sept. 5, 2015. While Jess’s Dream did not debut until his three-year-old year, the daughter of Rachel Alexandra debuted in August of her two-year-old year. Seemingly more precocious than her older brother, the filly impressed trainer Todd Pletcher, who instantly aimed her towards the Grade I Spinaway. The filly worked nicely into the race and went to post as the race favorite. She did not disappoint. 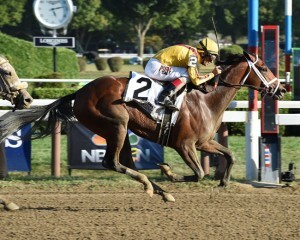 Rachel’s Valentina swallowed up both Tonasah and Constellation while easily holding off Tap To It during her late bid in the stretch. Trainer Todd Pletcher has already expressed interest in starting the filly in the Frizette, which will be her final prep before the Breeders’ Cup Juvenile Fillies. Rachel’s Valentina is bred to be able to continue to stretch out over a dirt surface and to be competitive against the very best. Her sire Bernardini was a wire-to-wire winner of the 2006 Preakness Stakes, which was overshadowed by the tragic breakdown of Barbaro. Bernardini went on win the Jim Dandy, Travers, and the Jockey Club Gold Cup before finishing second in the Breeders’ Cup Classic. This short campaign was enough to guarantee Bernardini the Eclipse Award for Champion Three-Year-Old Colt. 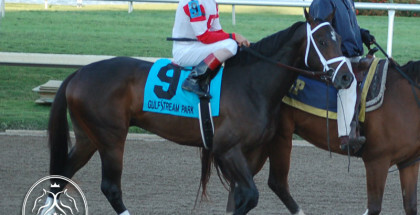 Rachel Alexandra was in a league of her own in her three-year-old year. She was not only undefeated in eight starts in 2009 but she also won the Kentucky Oaks by 20¼ lengths, the Preakness Stakes over Kentucky Derby winner Mine That Bird, and the Haskell Invitational and Woodward Stakes over older males. 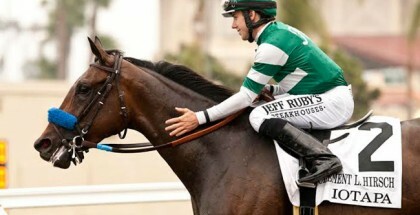 This was enough for her to claim Horse of the Year over Zenyatta and Champion Three-Year-Old Filly. Rachel’s Valentina is two-for-two in her career, and she is now looking like the possible favorite for the Breeders’ Cup Juvenile Fillies, which will be hosted at Keeneland Race Course in Lexington, Kentucky. 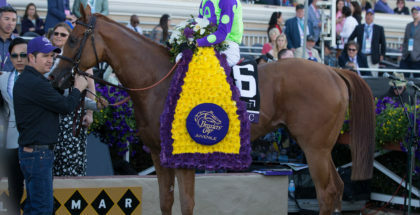 The Breeders’ Cup Juvenile Fillies has been run annually since 1984 when the Breeders’ Cup began. Fillies who have won the race consist of Hall of Fame horses Go For Wand, Flanders, My Flag, Silverbulletday, and Storm Flag Flying. Other fillies include Halfbridled, Indian Blessing, Stardom Bound, and Beholder. All of these fillies were voted Champion Two-Year-Old Filly at the end of their respective years. Rachel’s Valentina may have one more start before the Breeders’ Cup Juvenile Fillies, and if so, she will likely go in the Frizette. Another option would be the two-turn Alcibiades at Keeneland. If not, she will simply train during the eight weeks leading up to the race. The Breeders’ Cup will be held on October 30 and 31 at Keeneland Race Course, a racetrack that has never hosted the historic event. However, Keeneland is rich in history and will be a picture perfect site on Breeders’ Cup Day.